Before putting the bow to use, we need to ensure just a couple of things in order to be able to make best use of it and ensure its longevity. A new bow means that the horse hair (or synthetic hair) on the bow is still very smooth. So it will slip on the strings due to lack of sufficient friction, and you won’t be able to produce a proper tone. 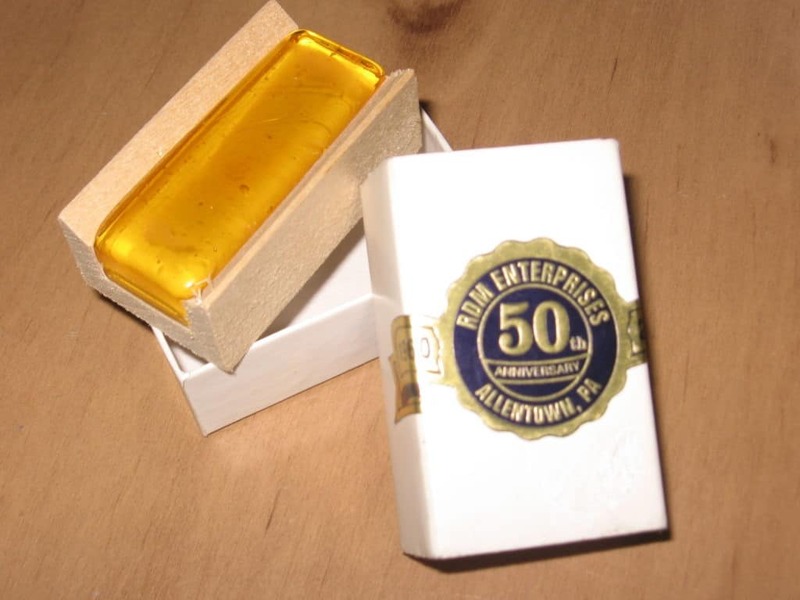 For that we use Rosin, which is a natural resin made from the sap collected from some trees. This rosin when applied to the bow hair will stick to the hairs, and provides more friction when pulled on the string. Tighten the bow hairs to a moderate level. And then draw the bow hairs straight across the rosin from the frog to the tip multiple number of times. New bows require many more strokes than bows which previously have been in contact with the rosin block. When you run your bow across the string after applying rosin, it is expected that you will some white powder fly off the hairs of the bow. Applying too much rosin can produce a raspy, scratching sound. So you can use a clean cotton cloth to wipe some of it off. Choosing the correct level of tension will allow you make best use of the bow in producing a proper sound, and it will also protect the integrity of the bow. If the bow hair are too loose, the wooden stick starts to touch the string. That will change the texture of the sound produced, it will damage the string and also the bow stick as well. If the bow hairs are too tight, the bow loses its sense of predictability. Worse still, the bow is at risk of being permanently warped out of its natural curved state. After ever session of using the bow, practising a couple of good habits will prolong the life of your instrument and bow. Loosen the hair on your bow before putting it back in the case. After playing the violin, gently clean it with a soft, clean, lint-free cloth to remove rosin build-up on the strings and the body of the violin.